The Swiss BA Award is intended to honor the Business Analysts of a Swiss project. After the beautiful and interesting projects submitted to us in 2018, we are renewing the award in 2019. Candidates for the 2018 award have all benefited from their business and learned of practices they want to improve in their next projects. And you? Do you participate in a project in Switzerland for which Business Analysis plays a significant role in ensuring its success? Being a candidate for the Swiss BA Award means having the opportunity to take stock of your BA work and see it valued by your peers outside your company. So do not hesitate to be a candidate! 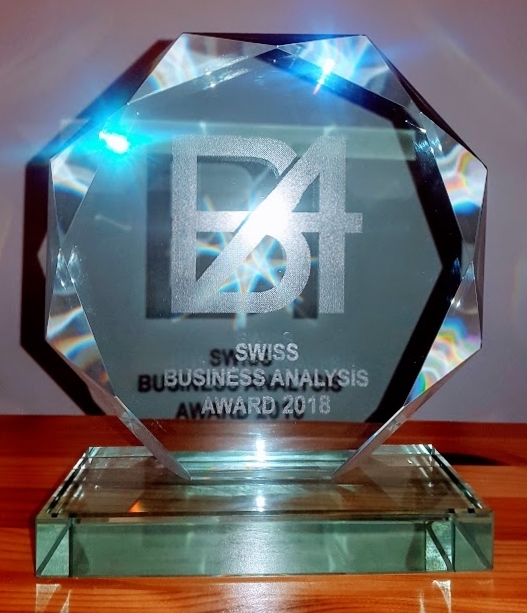 With this award, the IIBA Geneva wants to recognize a particular contribution of Business Analysis and thus contribute to the recognition of our profession in companies. 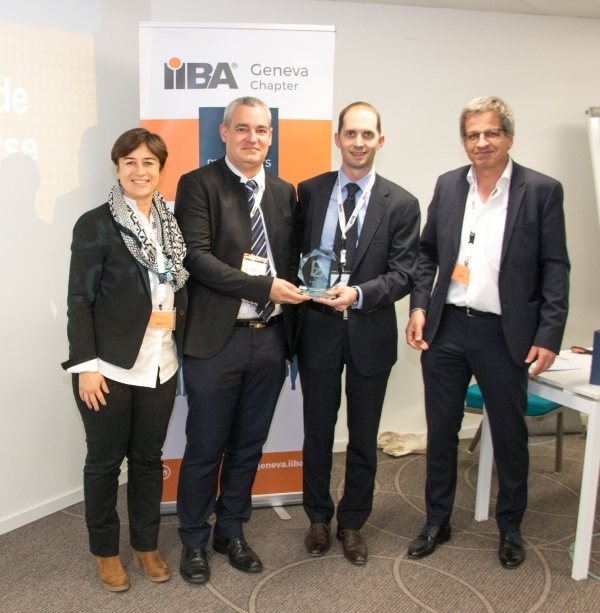 The winning project is awarded at the annual business analysis conference organized by IIBA Geneva. The winning team will be offered to publish an article in a professional journal as well as the opportunity to present their project at an IIBA Geneva workshop. Interested? Then complete the application form for the Swiss BA Award available here and, once completed, send it to events@geneva.iiba.org. For further information please consult the presentation and the regulations of the Swiss BA Award. Do you have any questions? Send them to us at events@geneva.iiba.org. I'll be glad to answer you. On March 22 2018, at its Congrès, IIBA Geneva presented this award to David Bardiau and Thomas Richeux, business analyst at the Touring Club Switzerland. Among all the applications received, this project appealed to the jury because not only did it fulfill a large number of judged criteria, but it distinguished itself because the work of business analysis made it possible to make a project succeed where many had failed before. That is, the field of study of the BA has extended well beyond the implementation of an IT solution.